when Leonce and Hilda Sheets operated the famous Gonzales landmark, The Airliner Restaurant. As Leonce's son Sno Sheets worked at The Airliner, he dreamed of opening his own restaurant that would be "the place to go" for Gonzales townspeople. In 1971 that dream became a reality as Sno and his wife Bridget opened Sno's, which still operates out of the same building customers frequented back then. 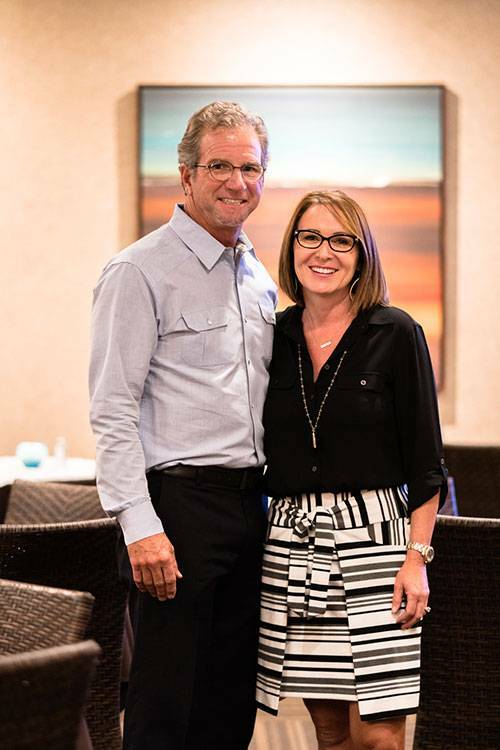 Through four decades, the Sheets family has maintained the tradition of providing customers good food combined with the comfortable surroundings and a family atmosphere. Later, Sno's fourth son, Todd, began managing the restaurant. Todd spent years learning the business, perfecting family recipes and enhancing his own culinary talents by training under famous Chef Perry Fuselier, formerly of LeRuth's Restaurant in New Orleans. Today, Todd and his wife Candy continue this family tradition that began over 50 years ago. Although Sno's is rooted in tradition, the Sheets family know it is necessary to adapt to the changing times. Since its inception in 1971 the restaurant has tripled in size, adding accommodations for rehearsal dinners, banquets and meetings. The kitchen has been outfitted with the latest equipment in order to serve the best quality food, both quickly and efficiently. Both Todd and Candy Sheets along with their team invite you to come out for a truly satisfying dining experience sure to be enjoyed by all.